This graphic tee from Riff Stars is made of 100-percent cotton. 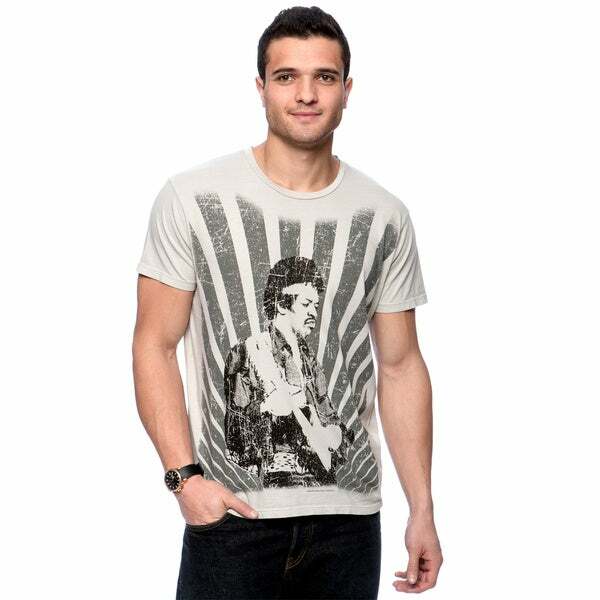 TheJimi Hendrix graphic is offset with short double-stitched sleevesand crew neckline. I had been looking for a Hendrix t-shirt for my son. Ifound this one for an excellent price. My son loves this shirt!!!! This shirt is for my teen-age grandson. I think he will like the theme.